The stories reveal a variety of themes; however, two stories in particular present the theme of oppression. “Innocent Terror” by Tijan M. Sallah (Gambia) depicts both the cruelty of the corrupt and the innocent ignorance of the oppressed. In this short story about the willful murder of a poor cook by a wealthy Lebanese youth, money and power prove indomitable foes for the innocent. Gold is god-like and “it can make inadequates into gods” writes Sallah. Thus the author’s opinion is clear: gold in the hands of the corrupt and morally unformed gives them opportunities to be treacherous and get away with it. This is as much a part of Africa’s history as many other third world countries. The son of the murdered man, young Tambedou, has a clear-cut and righteous lawsuit against the killer and his family, the Aziz family. Nevertheless, the power of wealth can influence the truly powerful to turn blind eyes toward law and morality. The Aziz family has the judge in its pocket, thus allowing the judge to acquit the murderer. What is painfully clear is that responsibility takes a back seat to the power of gold. The corrupt system, fueled with plenty of money and bribes, can chew up the innocent victims in this story. On a larger plane, Africa itself has been chewed up by hundreds of years of imperialism by wealthier countries. The macrocosm of Africa is revealed in part through the microcosm of this short story. Finally, the victim’s son ostensibly has very little on his side in the corrupt system of justice and retribution. He is clearly the loser in the courts. The author, however, interjects a subtle glimmer of hope that right indeed could one day supercede might. The corrupt judge acknowledges the good behavior of the murderer defendant, as if his outward manners speak louder than his murderous actions. This clear hypocrisy is contrasted with the simple goodness of young Tambedou who, though his case against Aziz was lost, leaves the courtroom with a natural grace and optimism that could only come from his inner character, and not something put on for show. One could say that the meek, in this short story, will inherit the earth—though just when that might happen is not clear from the story. The parody of the title of “Innocent Terror” reveals the another truth behind the contentious harmony in African society: justice is a paradox in a country where might is right and perhaps what the meek inherit is not the earth, but the dirt. Roles of Women in The Yellow Wallpaper and A Sorrowful Woman - Roles of Women in The Yellow Wallpaper and A Sorrowful Woman Research Papers examine the state of mind that the two main characters are in during the story. 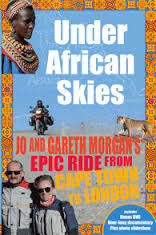 Paper Masters writes custom research papers on Under African Skies and go into a collection of African short stories with a variety of different themes.